Telecom service providers Qtel and Vodafone have put in place all systems and procedures required to ensure a smooth transition to the new national numbering plan, which adds an eighth digit to all mobile and landline numbers in Qatar from tomorrow. Under this, the first digit of the number will be repeated for both fixed and mobile users in Qatar. For instance, the numbers that begin with 5 and 7 will become 55 and 77 respectively from 12.01am tomorrow (July 28). The affected numbers will be those starting with 3,4,5,6 and 7. From tomorrow all mobile and landline numbers beginning with 3,4,5,6 and 7 will thus have eight digits, instead of seven now. All emergency telephone numbers within Qatar, including 999 and 112, will not be affected. The country code will remain +974. Also, numbers beginning with 1, 2, 8 and 9 will not be changed. For a period of three months from July 28, people who dial the current seven digit numbers will receive an automated recorded message, asking them to dial again with the new eight-digit ones. The country's telecom regulator ictQATAR had said the change would happen automatically and seamlessly for all customers, whether Qtel or Vodafone, with no interruption of service or effect on both networks. The digit addition move, part of a recommendation by the National Numbering Committee (NCC) of ictQATAR, will create an additional 36mn mobile and 9mn landline numbers, surpassing the highest demand forecast for the next 15-20 years. 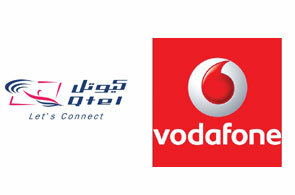 Both Qtel and Vodafone said they were "fully equipped" to help customers during the transition. Qtel is providing all customers a renumbering application for mobile phones free, in support of the new national numbering plan. The application will automatically analyse and update numbers stored in a mobile phone handset, Qtel said. Local numbers will have an extra digit automatically added, while international numbers will remain unchanged. It will support the majority of popular handsets in Qatar, including Nokia, BlackBerry, iPhones, Android and Windows Mobile based devices as well as common devices from major mobile phone producers (Sony Ericsson, Samsung, LG and others). To support the launch of the application, Qtel customers will soon receive a link in a direct SMS for the download and installation of the application. Clicking on the link will analyse each customer's phone and suggest the appropriate version of application to install. When running the application, customers will have the option to change numbers or undo changes, to ensure that their upgraded address books retain all essential information. Customers will be able to either change all contacts, or make changes selectively. "The launch of the free application should ensure an easy and trouble-free switchover," Qtel said. Vodafone also said it was fully prepared to implement the new numbering plan and help customers through the change. To aid customers in updating their contact list, Vodafone has detailed on its website (www.vodafone.com.qa) a list of applications and the links to these applications that can be used to make the process of updating contacts lists easier.